Studio City is located in the southeast section of the San Fernando Valley... aka "The Valley." It was originally owned by J. 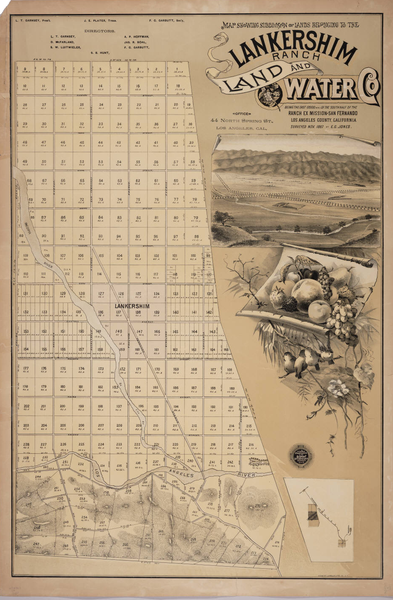 B. Lankershim and eight other developers who organized the Lankershim Ranch Land and Water Company. In May 1927 Mack Sennett began building a New Studio on 20 acres donated by the land developer. 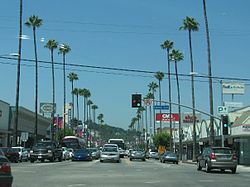 The area around the studio was named Studio City. Current home to CBS, located on Radford Avenue. To this day, many of the residents work in film, television, music and other entertainment related industries. The Real Estate market in Studio City, is unlike any other. Buyers can choose from a beautiful, 1920´s Spanish Style home, a Mid-Century Modern, or a fabulous New Construction Home.....which amazingly enough haven't lost any value in this 'down market'. Many of the Studio City Hills homes offer a breathtaking view of the San Fernando Valley, or you can live in the flats and enjoy the family oriented neighborhoods. Whatever you have in mind I´m pretty sure we can find it for you in Studio City, California. If you are thinking of buying or selling your home, give us a call. Someone on our team will get right back to you and will provide you with any information or assistance in buying or selling your Studio City home. For more information on schools, restaurants and other up and coming events, visit the Studio City Chamber of Commerce web site. Looking to buy a home in Studio City, or to relocate to Studio City? Sharon Rollins is your local Studio City realtor for all homes in Studio City and Studio City real estate. Feel free to search Studio City homes on our FREE MLS search, and if you have any questions or comments, don't hesitate to contact Sharon directly!